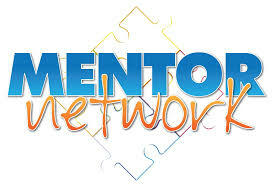 Why you really need Mentorship Program ? Basic 3 months Mentorship Program is design to help a lot of new trader and guide them step by step to learn the core fundamental understanding of forex market and put them in strong knowledge ground so that they will not lost money easily. 1 : Forex Outlook & how to profit from it (Whichever Direction). 2 : No need any indicator anymore and make return of 40% a year. 3 : Price Movement Analysis (PMA). 4 : Market Maker Psychology (How Market Maker make your money), Position Trade compulsory subject. 5 : Control of Trading Fear & Greed (with charting support). Objective : 1. Best entry (lowest risk) & exit price. 1. Stop Blood bleeding in Stock Market and forex Market. Customer will have a clear mind and firm decision to either CUT LOSS, AVERAGE DOWN or HEDGING without having deep cutloss (pain), which is best option and how to apply with firm and full confident. 2. Truely Control your Finacial Goal and Profit Target. (U incharge of your portfolio return rather than “Fund Manager” who is salary base). You can out-perform some Fund Manager year by year. 3. Very knowledgable on Stock Market and Forex Market & you can be a true Day Trader / Position Trader. 4. Understand the principal of Market Movement & how to profit from it. How to join your 1 year mentorship online? Our Class will start on 27-Apr-2014 (Sunday). how to join the class?